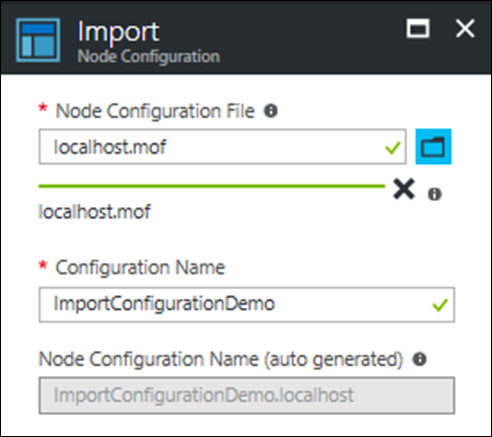 Azure Automation now supports importing both signed and unsigned node configurations (MOFs). Follow the instructions to sign your local configuration and node configuration files. The local PowerShell Desired State Configuration (DSC) performs the signature verification of signed node configurations on the client side. The verification prevents nodes from executing configuration files that are not signed by a trusted signer. To set the local configuration settings to enable client-side signing validation, refer to the instructions. Signed DSC configurations can also be imported, but we don't currently support signed compilation. Therefore, the option to compile signed DSC configurations is disabled.